In our boatyard last winter, we had a record number of sailing yachts ashore, and have built more than 100 yacht stands to accommodate these. 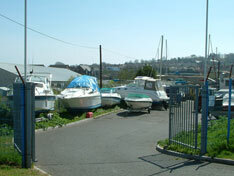 Electricity points are widely available throughout the yard for which tokens are available from the chandlery. All our staff are very experienced in boat handling and are well trained to RYA standards. As a family run business, we take great care when moving all vessels afloat or ashore. 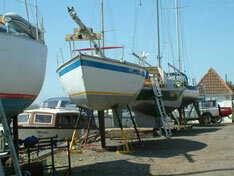 We use well maintained, purpose built boat stands and have a secure floodlit storage area. We have a 50 ton onsite mobile crane and several boat yard trailers to transport your vessel from the craning quay to the storage area with one of our two tractors. We offer a comprehensive boat storage package ashore. 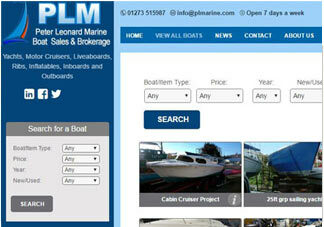 We can collect your vessel from your home marina, crane out, high pressure hose off and store your vessel.